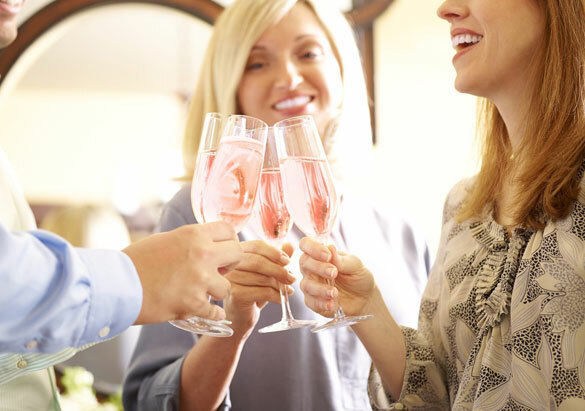 If you think rosé wines are just a little too pink to be truly great wines, think again—rosé wines are one of the hottest trends among wine aficionados at the moment. For years, rosé has been viewed as the bubblegum of the wine world—too sweet, too pink, and not worth sipping or sharing. That view is changing, however, as winemakers take rosés to a crisper, dryer level that may surprise you. When a red varietal is crushed, the first juice is drawn off and aged separately as a rosé. This process results in very fine rosés and also serves to intensify the flavor of the original red varietal. A red varietal is crushed and the skins are left in contact with the fruit for up to 24 hours, depending on the desired color and flavor of the final product. This is the most common production technique for rosés and produces excellent wines, including our Biltmore rosés. 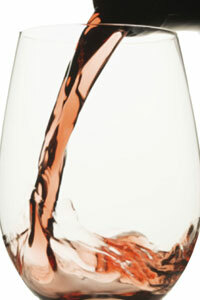 Red and white juices are blended to create a rosé. This process is used mainly for lower-quality wines, although some outstanding sparkling rosés are created in this manner. Where do rosés come from? The world’s earliest red wines were probably closer to rosé than modern red wines because it was not considered desirable to leave the grapes in contact with the skins for more than a day. Over time, Europe would become the primary producers of rosé wines, but that changed in the early 1950s as rosés were successfully introduced into American markets and emerging California wineries began creating their own versions. By the 1970s, rosé was often referred to as “blush” wine in the U.S., and though wildly popular, the style gradually became associated with sweeter, less-desirable blended wines. Enthusiasm for rosé began to wane. Today, rosé wines are enjoying a renaissance as winemakers and consumers explore a range of options from traditional dryer varietals such as Grenache, Pinot Noir, Cabernet Sauvignon, and Syrah to semi-sweet offerings including White Zinfandel and sparkling Moscato versions. Designed to be served chilled, modern rosés are excellent for sipping on their own and they also partner surprisingly well with eclectic fare such as Asian cuisine, spicy foods, and pizza. 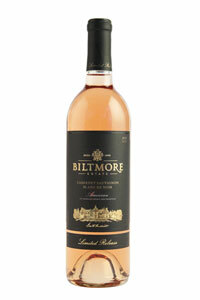 At Biltmore, we continue to explore new styles of rosés as our consumers’ palates evolve and new trends arise. Savor delicious options like our long-time favorite Biltmore Estate Zinfandel Blanc de Noir and Limited Release Cabernet Sauvignon Blanc de Noir, available only on the estate or through our online store. For a sparkling wine as delicious as it is beautiful, try our coral-hued Biltmore Estate Blanc de Noir crafted from Pinot Noir grapes in the traditional méthode champenoise.